When it came time to review the LG G7 earlier this year, I was conflicted. Here was a quite nice, generally well-executed smartphone, but one I just couldn't get really excited about — features like its AI camera and hardware Google Assistant button were forgettable at best, and I had trouble justifying the flagship-level pricing. 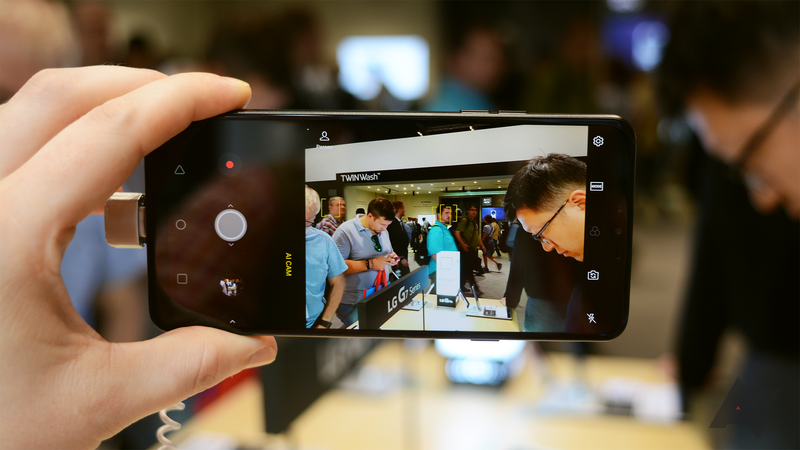 But at its heart, there was a lot of potential there, which is exactly why I was excited last month to learn about the debut of the LG G7 One and G7 Fit, two phones very much cut from the same cloth as their namesake. Could either of these handsets step up to address some of my issues with the G7? After going hands-on with both at IFA 2018, I think they just might. From design to features, both these phones share a lot in common with the G7 proper, but each makes a number of important edits to the G7's formula. 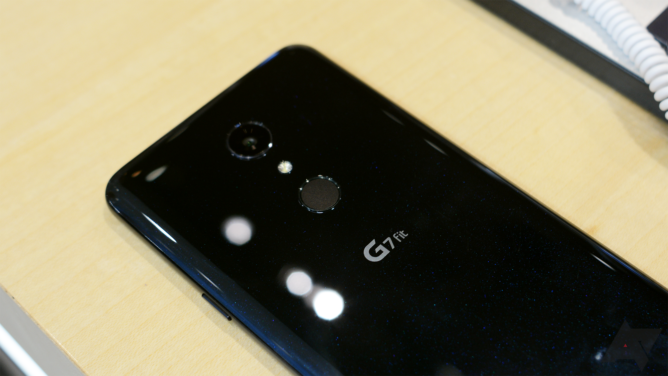 The G7 One takes a few hits to its hardware package, downgrading the processor from an 845 to an 835, losing one of its rear cameras, and offering just 32GB of storage. But the biggest change here is in terms of software, with LG shifting away from its custom UI to a pure Android One experience. The G7 Fit, meanwhile, downgrades hardware even more with a Snapdragon 821 and a further hit to camera quality, though keeping LG's original software. Not all of that sounds great, but a lot of good stuff from the G7 still carries over to these new models — both still feature the same bright 6.1-inch QHD+ screen as the original, same IP68 water-resistance rating, and keep its 3,000mAh battery. For me, the most impressive thing about the G7 One isn't its Android One software. Don't get me wrong — Google's layout is a vast improvement over LG's clutter (especially when navigating system settings), and the promise of timely updates makes that offering all the more attractive. But when I first picked up the G7 One, I was overcome by just how good it feels. Unlike the slick glass back of the G7, the One has a matte finish that you could easily mistake for metal or high-quality plastic. But no — it's still glass. Just now that glass looks and feels so much better than it ever did on the G7. 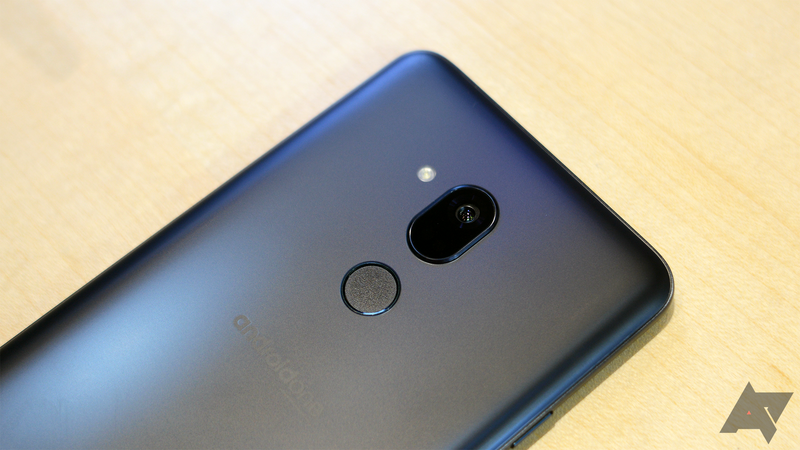 The G7 One keeps the G7's Assistant button — which, fine, I guess it's not hurting anyone by being there — but the move to Android One does mean you sacrifice LG's AI CAM software (LG promises that it will be back courtesy of an update before the year's out). Honestly, that's no big loss, and I'm much more disappointed by no longer having a rear wide-angle option. In a bit of a tease, the camera module keeps the same elongated shape as the G7's dual-camera arrangement, but now moves sensors once off to the side to where the second camera used to be. With the G7 Fit, LG goes with the same glossy glass back as the original G7, and while I don't find it to be a point hugely in the phone's favor, that does help maintain a premium feel. Since this is considered an upper-mid-range device, we have to make cuts somewhere, and the Fit discards the Assistant button — no big loss. 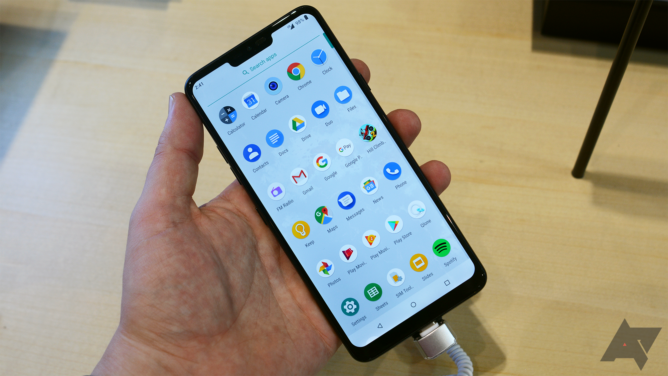 Though the phone's processor isn't quite as spry or modern as its brothers', everyday tasks are by no means sluggish, and you mostly miss out on high-end performance and modern power optimizations. At least the Fit is honest about its single rear camera, redesigning the back panel layout to accommodate, even if the look that results in isn't nearly so enchanting. But LG's AI scene-analysis is back, and though it's still not a strongly compelling reason to pick up the phone, that does help the G7 Fit avoid feeling like it's in a class beneath these other G7 models. 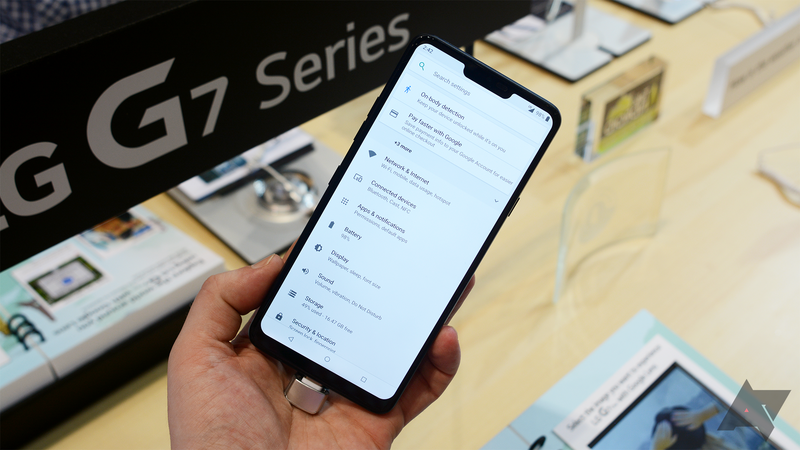 While my time with the new G7 phones has really helped to flesh out my understanding of what LG's trying to do with these additions to its lineup, there are still some huge gaps in their stories — questions that need to be answered before I can make anything even approaching an informed decision about how enthusiastic you should feel about either device: What are these models going to cost, and where will they be available? With the hardware LG's employed, both phones are sure to cost less than the G7, but just how much affordable will they be? Considering I found the G7 a tad overpriced to begin with, I'm concerned here that LG still won't bring things down far enough to make the G7 One and G7 Fit really good values. The G7 Fit has me worried that LG maybe hasn't made enough cuts to the G7's feature set, and the resultant price won't be distinctive enough from the flagship's — if you're already spending a lot of money on a phone that's up there within sight of the top of a company's lineup, why not pony up a little more to get the best option available? I'm even less sure what to expect from the G7 One, which is sure to be in an even closer heat with the G7's pricing. 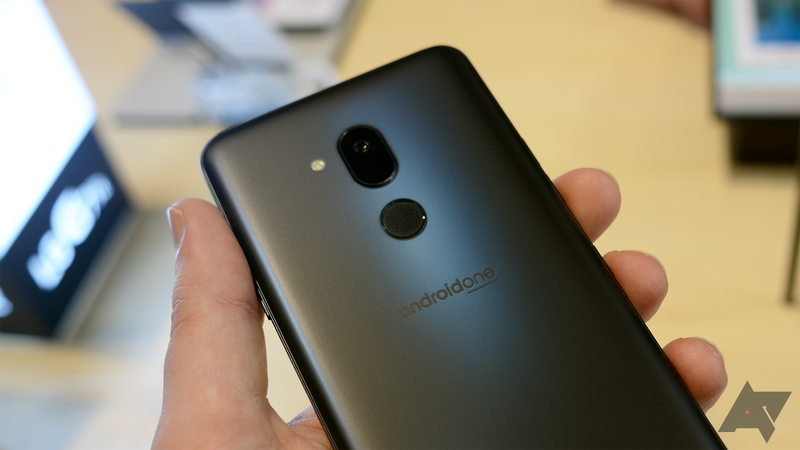 Yes, the presence of Android One will be very attractive for some users, and I'm just swooning over the new matte finish, but I really miss that wide-angle camera, and I worry I know LG's habits a little too well by now to expect that the phone's price will be competitive enough to really make it a star. Of course, none of this matters if the phones aren't going to be for sale in your corner of the world, and I've yet to get any confirmation about just where LG plans to make these devices available. The most anyone's been willing to say is that the company intends to release these models in the next couple of months, so hopefully we'll have more answers soon. For the first time in a while, I'm excited about where the G7 lineup could be heading. Now, please, LG: Don't let me down.